Tags can add a finishing touch to any craft project, wedding decoration or special gift. Put your own flair on it by stamping, painting, embossing, etc. Our tags are 100% real wood that have a natural uncoated finish with adhesive backing. 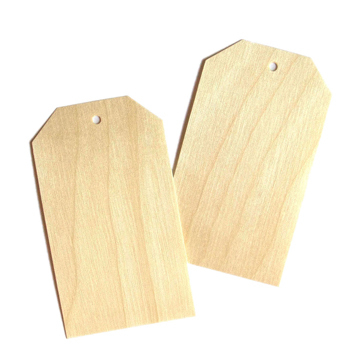 Since these tags are paper, they are perfect for paper craft projects, such as card making or scrapbooking. You can add the look of wood without adding the weight or physical dimension. 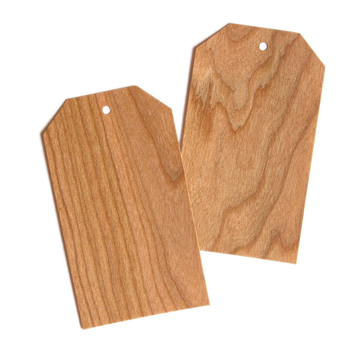 Our Real wood tags come in a pack of 10 in Birch wood or Cherry wood finish. Tags measure 3.5×2. 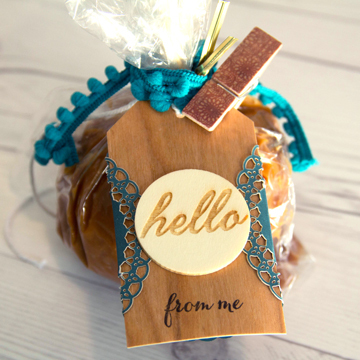 Make that treat or gift a little more memorable with a personal touch by adding a handmade tag. 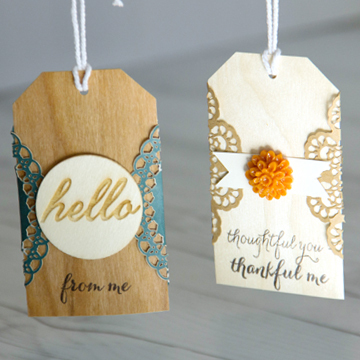 We added some autumn color to our tags with stamping, a few embellishments and ribbon. 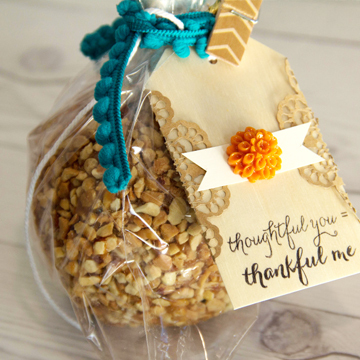 Tie to a caramel apple, and you are ready for gifting. This is a treat most would love to receive. We’d love to see how you use our tags! 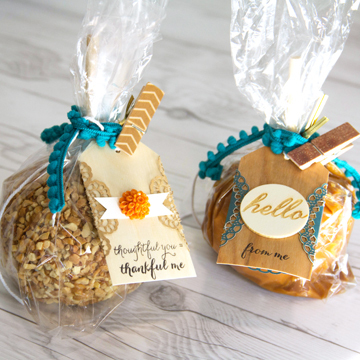 This entry was posted in Crafts & Kits, DIY Projects and tagged caramel apple packaging, fall gifts, Gift Tags, Treat packaging, Wood Tags.